Hosted by the Luxor hotel in Las Vegas, Nevada, Bodies...The Exhibition is a fascinating attraction on human anatomy. This exhibit includes real cadavers, organs and tissues that have been carefully preserved for long-term presentation in public venues. From lungs and muscles to the brain and heart, you'll see stunning details of all major anatomical components that make up the human body. Click to book your Bodies . . . The Exhibition admission ticket. Bodies...The Exhibition is organized in a meticulous sequence that's designed to educate and inform visitors of all ages. More than a dozen whole bodies are on display throughout the galleries. Each intact body is carefully positioned into common poses and positions that are relevant to daily life. For example, there's a full-size figure that rides a modern bicycle. This particular installation highlights the biomechanics and kinematics of bones and muscles that are involved in pedaling a bicycle. Click to book your Bodies . . . The Exhibition admission ticket. As you navigate the halls of the exhibit, you'll see more than 250 different organs in stunning details. Many of the specimens are dyed and colored to highlight important anatomical characteristics. For example, the bronchioles of a preserved lung are clearly marked by a bright red finish. Similarly, veins and arteries are colored in eye-catching hues with dramatic contrasts against the natural color of flesh. Select specimens include thin dissections that highlight the cross sections of different body parts. For instance, you can see the cross section of a single bone at various points along the length of a leg or thigh. Bodies...The Exhibition is designed to promote positive messages and ideas about health and lifestyle. Some normal organs are deliberately displayed beside damaged organs for demonstration purposes. After seeing the repulsive features of a blackened lung, people might be discouraged from smoking tobacco products. Similarly, some of the specimens include excessive fat tissue to emphasize the obesity crisis in the United States of America. The reproductive systems of males and females are explicitly displayed at the exhibit, so parents should use strong discretion before taking young children for a visit. The raw details of the digestive and urinary systems might also be offensive for some visitors. The organs at Bodies...The Exhibition have been professionally preserved by a cutting-edge process involving polymer application. A liquid gel with silicone composition is carefully injected into the tissue and other surrounding structures. This injection essentially guarantees permanent preservation of tissue that would otherwise decompose rapidly. Water and other naturally occurring fluids have also been fully removed from all of the bodies on display. Acetone is heavily sprayed over the specimens to dissolve other organic components that make up tissue. The final stage of the preservation includes drying, which allows the silicon polymer to settle down and harden. All of the organs and specimens at the exhibit don't have any distinct odors. Photography is strictly prohibited inside the galleries because of the sensitivity of most organs and body parts. Bodies...The Exhibition is one of the premier attractions inside the famous Luxor Hotel, which is situated on Las Vegas Boulevard. The hotel's parking garages and lots are located just off Reno Avenue and Mandalay Bay Road. Running through the Las Vegas Strip, Interstate 15 has exits just a few blocks away from the iconic resort. The DEUCE bus of the Regional Transportation Commission stops near the hotel's main entrance on the southbound lane of Las Vegas Boulevard. Also part of the RTC, the 119 and SDX routes can drop you off on the northbound side of this busy boulevard. Running on elevated rail tracks, the ARIA Express tram connects the Luxor with the Excalibur and Mandalay Bay hotels. 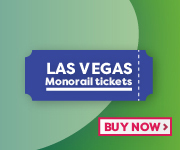 The nearest Las Vegas Monorail station is located at the MGM Grand. Click here to visit Bodies . . . The Exhibition official website.